With support from Italian speaking guides, you'll make memories to last a lifetime in a place as timeless as it is beautiful. Come ride with us in Umbria, the green heart of Italy. Our May 2019 trips are filling up fast! We have limited availability remaining for May 12-18! Our routes will take you to some of the most beautiful places in Italy. The routes are challenging. The destinations are breath taking. 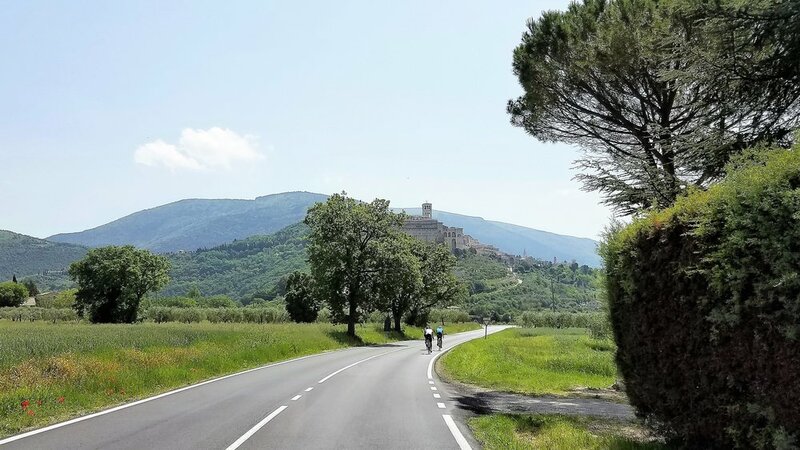 A week with us will build your fitness, your confidence, and reward you with a once in a life time opportunity to experience the less traveled roads of Umbria and Southern Tuscany. Our home away from home, Casale I Perugini combines rustic, country elegance with the convenience you should expect from your Italian ride HQ.